This work strips away negative conceptions that dismiss faith as being divisive or requiring blind adherence to a belief system. The author offers advice on understanding faith as a healing quality that is grounded in common sense, intelligence and, most importantly, our own experience. Faith is a word that is often misunderstood - we may think the innocent lucky few have it while the rest of us couldn't possibly, or that we have to give up independence to attain it. 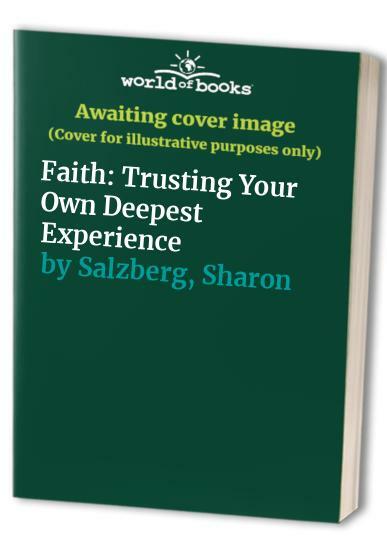 In this book, Sharon Salzberg strips away negative conceptions that dismiss faith as being divisive or requiring blind adherence to a belief system. She offers advice on understanding faith as a healing quality that is grounded in common sense, intelligence and, most importantly, our own experience. Weaving her own personal story into the text (her father became mentally ill and her mother died suddenly when she was a child), the author speaks of her search for meaning. She chronicles her encounter with the East and with Buddhism, but tells the story in an everyday style that should appeal to Buddhists and non-Buddhists alike.